This mustard maxi tunic is your all-in-one outfit that eliminates the need of buying separates. 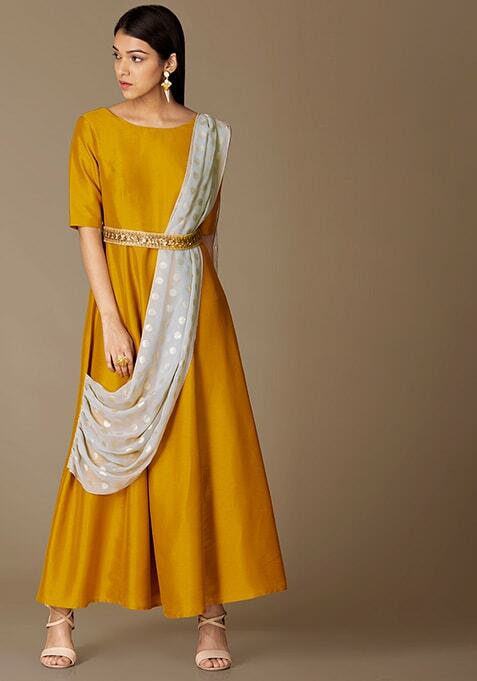 Features a sequined gold belt and grey dupatta attachment. Work It: Wear it with contemporary accessories and complete your look with gilded heels.